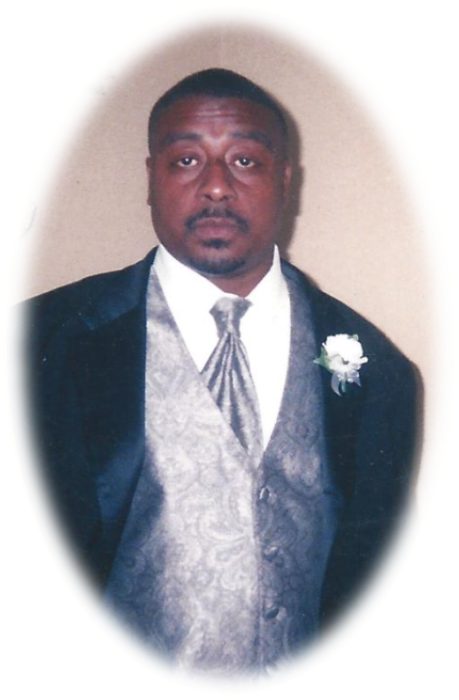 Clarence Louis Jackson,51, passed away on Saturday, November 3, 2018. Clarence Louis Jackson was born on July 20, 1967, to the union of Charles and Estelle Jackson in Charlotte, North Carolina. Clarence received his formal education at East Mecklenburg High School in Charlotte, North Carolina. At an early age, Clarence accepted Christ as his Savor at The Church of the Lord Jesus Christ of Apostolic Faith. Later in life, Clarence attended Shiloh Baptist Church. After high school, Clarence became employed by Alexander Michaels as a cook. He later worked for Metrolina Steel, Inc. as a Materials Handler. Clarence loved and enjoyed life, however, greater was his love for the Lord, his sisters, his companion, and his family and friends. He was a devoted father, brother, uncle, and friend. CJ, as he was affectionately called, loved to drive and he loved sports. He was well-known for riding around with his co-pilots, Wayne Cooper, Joseph “Strong,”and his close friend Calvin Grimes. CJ also enjoyed traveling, fishing, and hanging out with family. He was especially close with his older sister, Lucille. Clarence gave his all to his family, totally supporting them with his love and time. Clarence Jackson departed this life on November 3, 2018. He was preceded in death by his brothers, Walter Lee Jackson, Sylvester Jackson, Tommmy Jackson, Charlie Jackson, and Frankie Jackson; and one sister, Sheila Marie Jackson. He is survived by his companion, Camilla Raley; 2 sons, Derrick Pope and Carmerius Jackson; 2 step-sons, Lawrence and Corey Williams; Clarence’s legacy of love lives on through his grandson, Derrick Pope, Jr.; He also leaves to cherish his memory his two sisters, Lucille Jackson and Linda McKay Jackson; and a host of nieces, nephews, cousins, and friends. A public viewing for Mr. Jackson will be held on Thursday, November 8, 2018, from 3:00 pm - 7:00 pm, at Boston’s Mortuary 4300 Statesville Road, Charlotte, North Carolina 28269. The funeral service for Mr. Jackson will be held on Friday, November 9, 2018, at Boston's Mortuary 4300 Statesville Road, Charlotte, North Carolina 28269. The visitation will begin at 12:00 PM and the funeral service will begin at 1:00 PM. Interment immediately following service at Beatties Ford Memorial Gardens 11201 Beatties Ford Road Huntersville, North Carolina 28078 . The Jackson Family have entrusted his care to Boston's Mortuary.